March 23, 2015, 2:08 p.m.
By Justin Ellis @JustinNXT March 23, 2015, 2:08 p.m.
What will it look like to hail an Uber from your wrist? How easy will it be to buy a ticket to see Avengers: Age of Ultron using your watch? 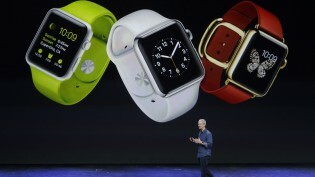 And how might a smartwatch change the way we keep time? The launch of the Apple Watch is the type of story that The Verge was built for — obsessive tunneling deep into the minutiae of the latest gadget that promises to reshape the world. You can call it their Super Bowl or their Oscars, but The Verge has major product releases down to a science: Establish a team on the ground to take on the rigors of liveblogging, have news editors and writers standing by to spin out individual stories, add in hands-on videos, and recap the proceedings to let readers grab what they need to know. This is now muscle memory across an entire newsroom, even for a site that’s only been around four years. Covering technology should come easy for a site that was created by a group of editors who jumped ship from Engadget; following the movements of Apple and Google, or tracing the latest pronouncements from Elon Musk, are what they’re built for. But tech writing is a crowded field. Recode was spun away from Dow Jones, which responded by bulking up the tech team at The Wall Street Journal. Business Insider is building a tech site of its own. BuzzFeed is bulking up its San Francisco operations. And that’s just a few of the bigger players; add in a seemingly infinite number of smaller sites, plus plenty non-technology sites moving resources into the field. What it means is that on a day like the Apple Watch release, there are no shortage of options for readers to get their fix. And even as The Verge grows — they reached 25 million monthly unique visitors in February — the site needs to find a way to stand out. Which would explain the Super Bowl commercial. Even if it only aired in Helena, Montana, the the 30-second spot tells a lot about the site’s aims for 2015. “We want to use technology as a way to define pop culture, in the way Rolling Stone used music and Wired used the early Internet,” Verge editor Nilay Patel told me. What The Verge has been doing the past six months, and will be doing for the next six, is turning itself into a site that covers pop culture, science, and even cars with the same voice they’ve trained on the world of technology. “What we’ve figure out is it’s much more than a technology site,” said Vox Media CEO Jim Bankoff. “Though it really covers technology, it’s a lifestyle site for people who are curious about the changes in the world around them.” Going deeper into entertainment or science or other coverage areas, Bankoff said, is about appealing to that wider digital-native audience that advertisers associate with Vox. If you spend enough time with the staff of The Verge and you’ll notice they talk about the future a lot. Yes, they want to be a lifestyle site, but one that focuses on tomorrow. “I think The Verge has a notable clarity of purpose, which is that the future is baffling and no one person can understand what’s going on in real time,” said Silicon Valley editor Casey Newton. It’s mid-February and the Apple Watch announcement is still a few weeks out. Verge editors are sitting around a conference table that resembles a fallen walnut tree inside Vox Media’s New York office. Planning for several days to weeks out, the editors are moving pieces around: Who’s at the Mobile World Congress, can they be shuttled to the Geneva Auto Show? Who’ll be on hand for the FCC’s net neutrality liveblog, and who can do recaps and other write-ups? Is the new cars and transportation section still on schedule to launch in April? Editorial meetings are a constant across most of the media universe, but this kind of thing is relatively new at The Verge, Patel says. Since returning to The Verge as editor-in-chief last summer, Patel has been reconfiguring everything from the coverage areas to the seating plan. The meetings are one part of that. It’s not just a way of laying down markers for coverage, but thinking bigger picture about how they pursue stories and grow their readership. Last year was a busy one for Vox Media, bringing the Curbed network of sites into the family and launching Vox.com. Now they’re fanning out the brands: Following on the heels of Eater’s redesign and relaunch, Racked was reintroduced with a new look and new features. The task for each site, including The Verge, is to maximize their potential audience, Bankoff says. It’s less that the mission of The Verge that is changing than its scope and ambition, he said. “When we launched The Verge, we got a lot of questions like: ‘Does the world really need another tech blog?’ And when asked that, we firmly answered no,” he said. The goal is a wider breadth of coverage, which they think will translate into a broader audience. They want to do that through entering new areas, but also by having a more diverse staff, Bankoff said. In the past, Bankoff has said he sees Vox Media having the potential to be the digital equivalent of Time Inc. That means having a family of properties that appeal to more than just the coveted male 18–34 demographic where many of the original Vox Media titles perform best. With last fall’s new $46.5 million funding round, Bankoff has been bolstering Vox’s titles and pushing the company further into video. If they’re going to be a Condé Nast for web-natives, now they’ll need to prove it to advertisers. “We’re able to go out to advertisers with the proposition and say we have big valuable audiences and we hit them wherever they are passionate, whether it’s sports, food, or technology and culture,” he said. One idea she has is to take the kind of behind-the-scenes focus The Verge provides on the creation of gadgets and apply it to TV and movies, telling stories on the producers and editors who work in relative obscurity. “I want the community of writers — a lot of whom are the kind I worked with at Grantland — I want them to feel like The Verge is just another outlet they can talk about things they wouldn’t be able to talk about or investigate on another site,” she said. New science editor Elizabeth Lopatto sees her job as telling new stories and uncovering new voices. She said her approach to the science beat is as much about interrogating new discoveries as it is about talking about how those advancements will affect people. “The Verge is about the future, and to a certain degree some of our visions of the future start around science,” Lopatto told me. Wearables and other fitness trackers are a perfect topic, Lopatto says, with the right blend of consumer gadgetry and lifestyle science. 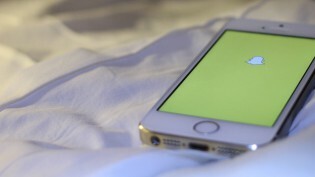 Tech companies have identified persistent health data as an area rich with opportunity, but not a lot of questions are being asked about how reliable the devices are, or how they fared in testing, she said. This is why Lopatto also serves in a kind of unofficial capacity as headmaster of The Verge Science Academy; she’s tasked most of the reporters on staff with writing up at least one scientific study or research paper. The idea is to make sure all reporters have the same toolkit to question the claims of new inventions. “As a service to readers, I think it’s important to say: Hey, does this thing do what it says it does, or is it just an expensive toy?” she said. Increasingly, the story of cars is a story of technology; along with Musk’s Tesla, there’s Google’s push into self-driving cars, the ongoing development of electric cars, and the rise of car service apps like Uber and Lyft — all of that before the rumors that the world’s newest watchmaker was interested in getting behind the wheel. So if everything is now technology, what does the team covering the industry do now? Silicon Valley editor Newton says the daily output of his team is a focus on product news as well as more coverage of the culture of the Valley, as evidenced by Nitasha Tiku’s work on the Kleiner Perkins gender-discrimination trial. In trying to differentiate the site from its many competitors, Newton tells me there’s certain tech stories they just don’t follow: funding news, earnings reports, and enterprise software, for example. (Though there are exceptions to all three, of course.) As Newton explains it, he’d rather have his team use their judgment and enthusiasm to help translate stories big and small stories; technology reporting right now is a combination of incredible breakthroughs and the terrifying realities that usually come along for the ride. “That’s what I think it’s like to be alive today — bouncing back and forth between these poles of ‘Oh my god, it’s amazing, look what I can order with a touch of a button!’ to ‘Oh my god, all my communications are being monitored by the government and how do I adjust to that? '” he said. It’s different launching a site in 2014 than in 2011. It’s not just that the world of media had become more crowded — the ways readers discover stories and interact with sites had changed dramatically. After former Verge editor Joshua Topolsky left for Bloomberg last summer, Patel returned and started making changes. A lot of it has been elaborate stagecraft: bringing in designers and product people for a hackweek in the fall, moving the video team onto the same floor as the newsroom, and making editors write up their coverage schemes. Creating the right conditions for the The Verge to do its best work, to draw in new readers and keep the old ones loyal, is at times the work of minutiae. Which, in a way, makes it not dissimilar from the development of the tiny computers we keep in our pockets. Photo of Vox Media director of editorial products Lauren Rabaino courtesy of The Verge. POSTED March 23, 2015, 2:08 p.m.
Ellis, Justin. 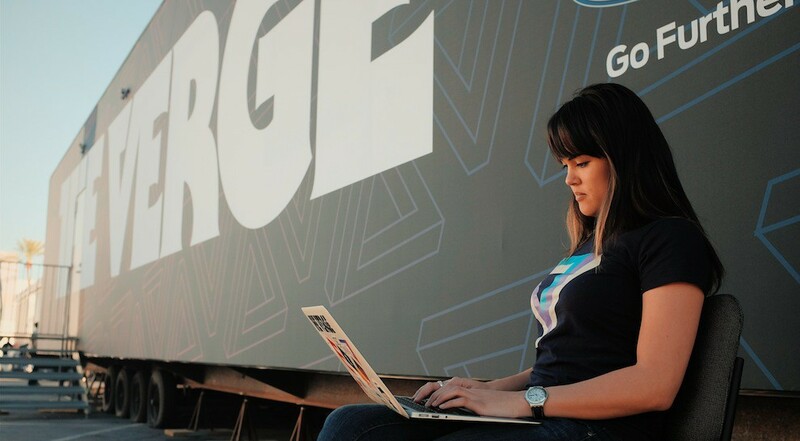 "This is my next step: How The Verge wants to grow beyond tech blogging." Nieman Journalism Lab. Nieman Foundation for Journalism at Harvard, 23 Mar. 2015. Web. 18 Apr. 2019. Ellis, Justin. 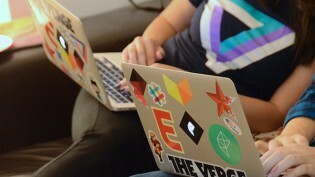 "This is my next step: How The Verge wants to grow beyond tech blogging." Nieman Journalism Lab. Last modified March 23, 2015. Accessed April 18, 2019. https://www.niemanlab.org/2015/03/this-is-my-next-step-how-the-verge-wants-to-grow-beyond-tech-blogging/.